President Clinton and Hillary Rodham Clinton and British Prime Minister Tony Blair visit a bombing site in Omagh. President Clinton greets people on the street and shake hands with people in the crowd. 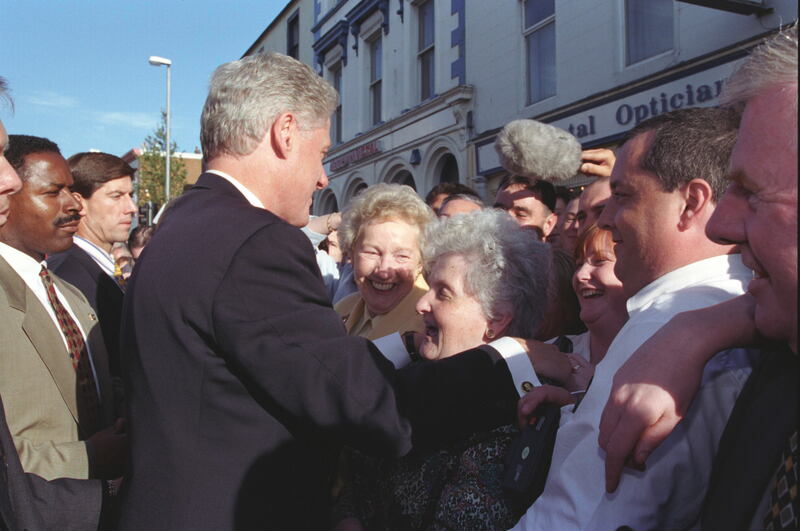 Ralph Alswang and White House Photograph Office, “Omagh Bombing,” Clinton Digital Library, accessed April 25, 2019, https://clinton.presidentiallibraries.us/items/show/57412.